Hello first of im sorry for my english, i know its quite bad. 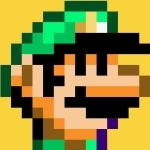 im a pretty shy guy who usually never wants to bother anyone but im really in love with smw overworlds. i think they are so beautiful, some hacks i feel like i spent more time watching the overworld than playing the actual levels. but besides being shy im also a big idiot so with all my not existing social skills i am here looking for someone who has the patience and knowledge to teach a total noob how to create overworlds. if anyone wants to teach me, please send me a pm. i appreciate every single bit of help. thanks to everyone who wants to help and everyone for reading. I learned how to make overworlds by watching a tutorial from this guy. The tutorial is 7 videos long, so it teaches you pretty much everything you need to know about overworld editing. The tutorial is a little outdated though. Lunar Magic has gone through a few changes and Star Road/Pipe linking is done differently than in older versions. Pretty much the only thing I didn't learn from this tutorial was what are called "Silent Steps". These are overworld events that don't appear until after you move to a new submap. But they're really easy to do. Just hold "Shift" while placing event tiles. Hey fellow SMW hacker! I just want to start off by giving you a couple of tips. I am mainly a level designer, but I have picked up a few little pieces of advice when it comes to overworlds. 1. Before you go and delete the original, instead drag it onto the offscreen area, as it can be much easier to pick specific tiles from an actual map, instead of looking at a bunch of non-fitting tiles next to eachother. 2. Make a plan on paper, with paths and level spots before making the real thing. This helped me a lot before I got someone to make overworlds for me, as you won't have to plan as you go. Make sure to be fairly detailed! 3. Make a couple of practice overworlds before you start using them in real hacks. Your first couple of overworlds will probably not be very good, (not trying to be rude, mine weren't very good either) so make sure you are at least decent before you let other people use them. Those are my three main tips on overworld creating. It can be really fun to work with someone other than yourself, but you have to be careful that the person you are working with won't just delete all traces of your name. I have heard stories. If you have any questions, just PM me, or hit "quote" to reply. Good luck!